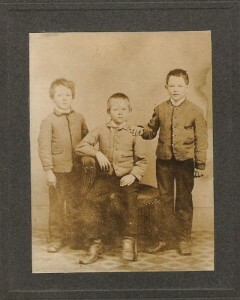 Stacy and four brothers travelled with their father, Stacy Webb Thompson, to Michigan shortly after the Civil War. 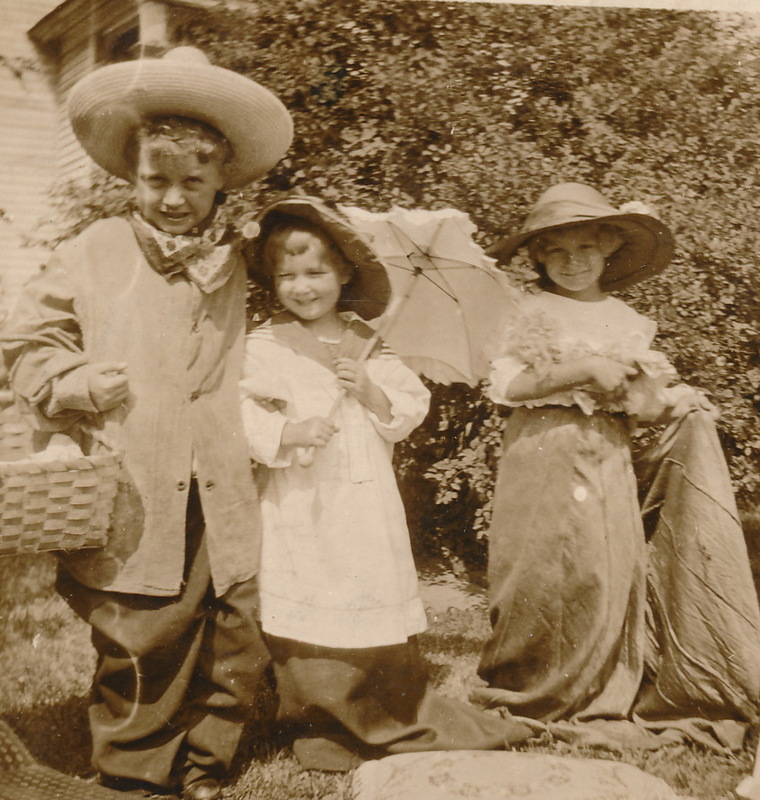 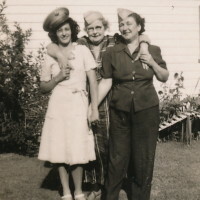 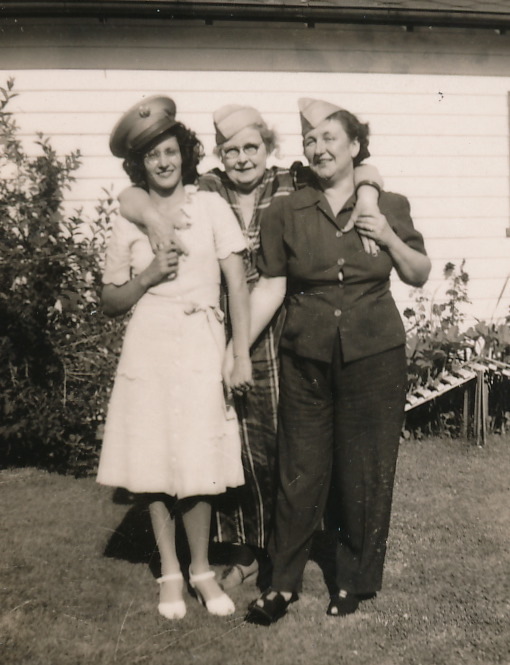 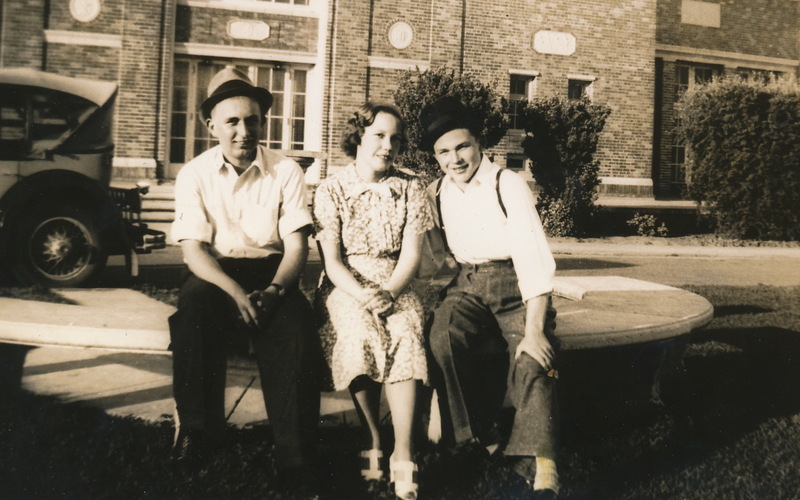 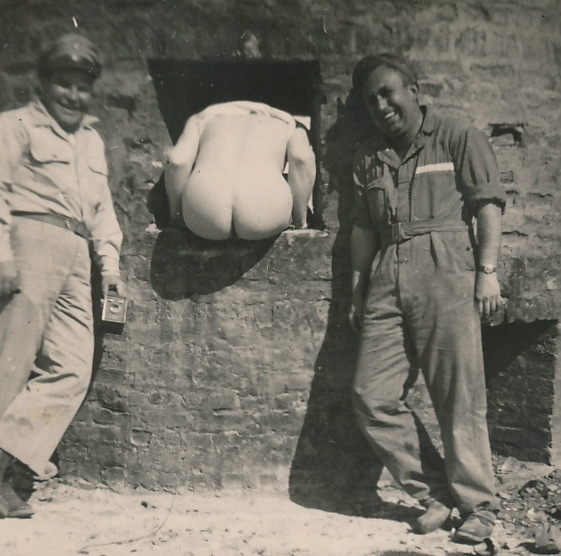 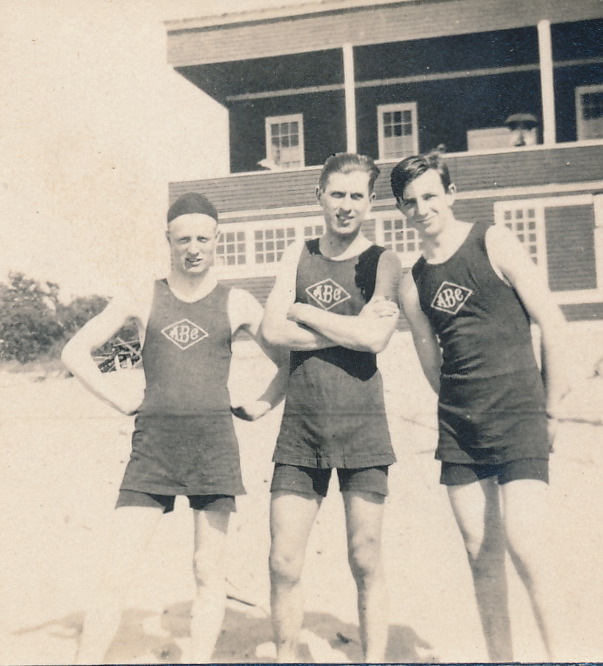 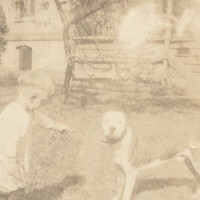 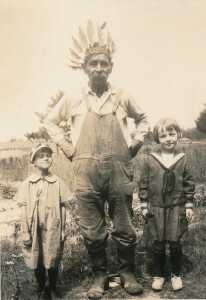 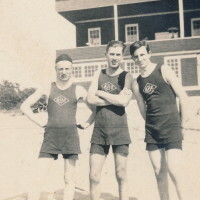 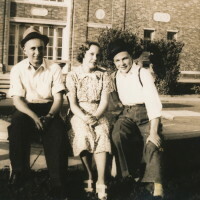 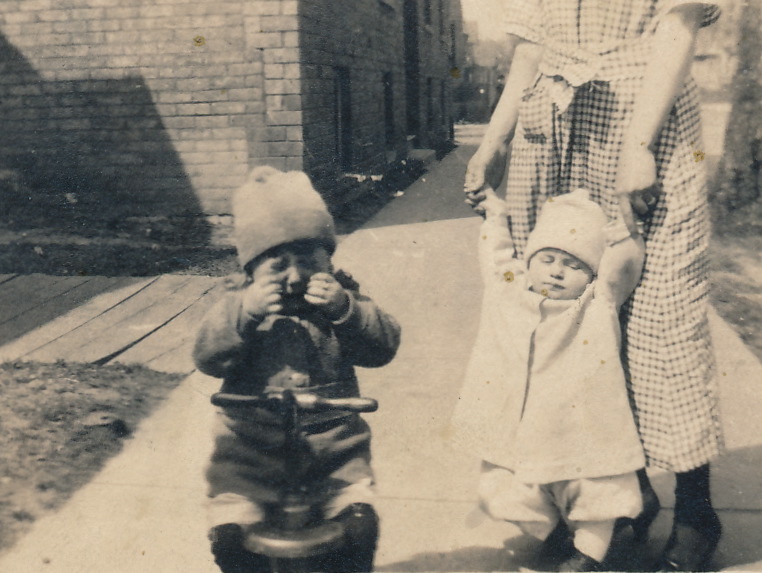 Here is a photograph of Stacy and two of his brothers taken near their home in Curwinsville, Pennsylvania. 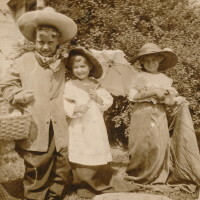 Stacy is in the center. 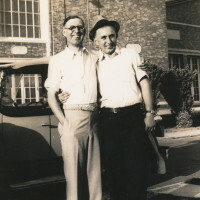 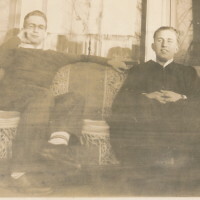 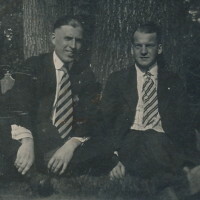 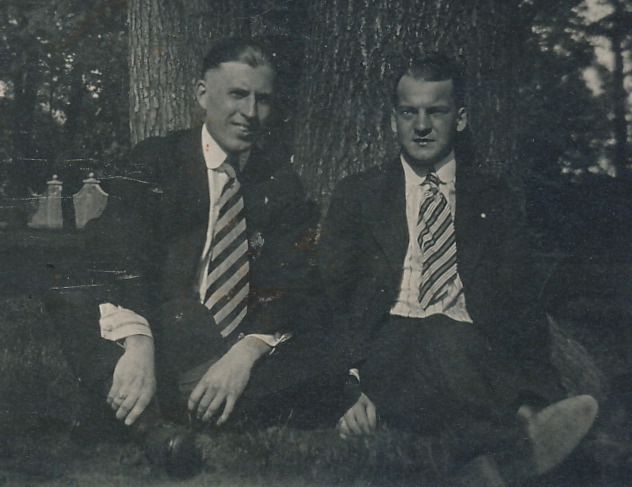 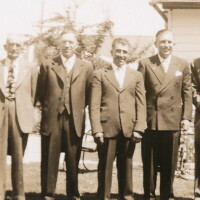 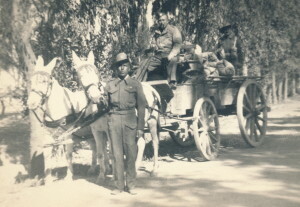 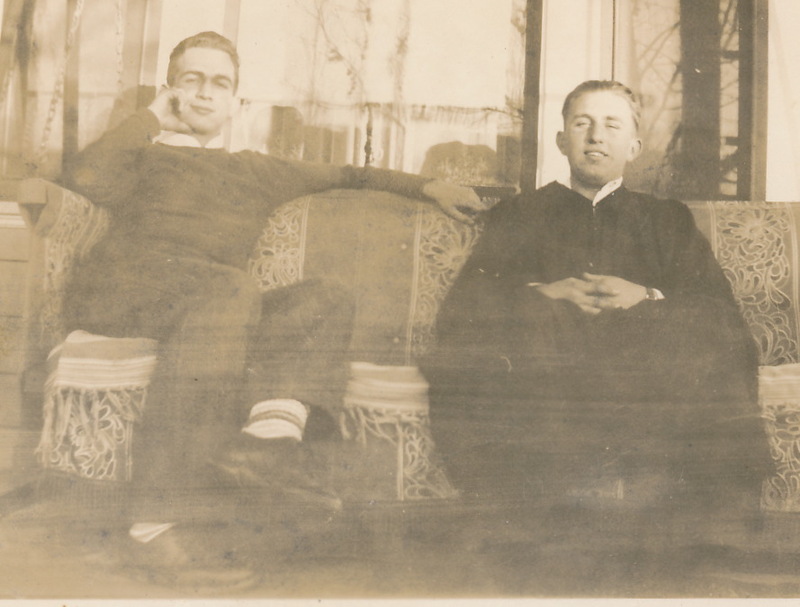 His brother John is to the left and his brother Edwin is to the right. 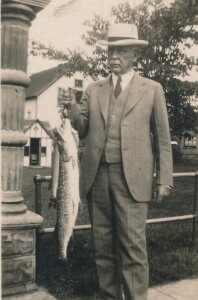 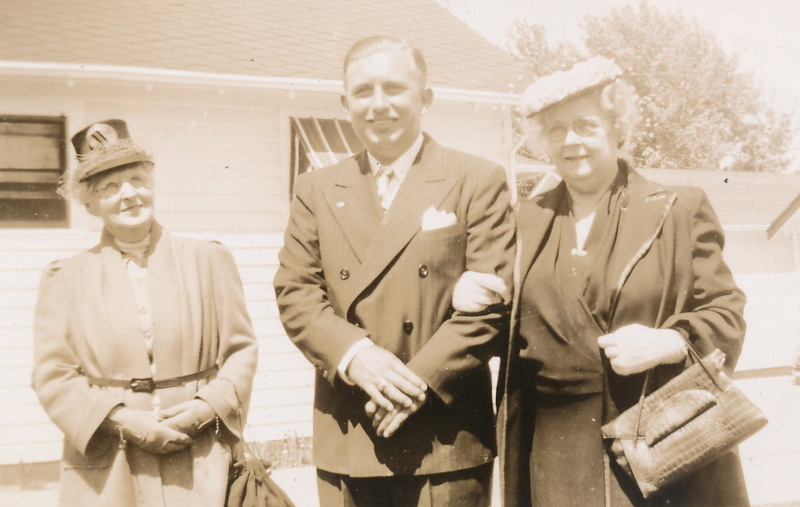 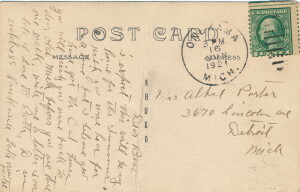 In 1926, Stacy’s brother, John Alexander Thompson and his family returned to Manistee where he was once its Postmaster. 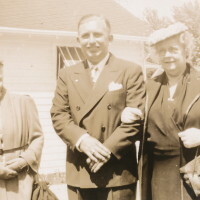 John had left Manistee many years earlier with his wife Ella Long Thompson, first traveling to Colorado and later establishing a stock brokerage firm at the distinguished address 55 Wall Street, New York, New York. 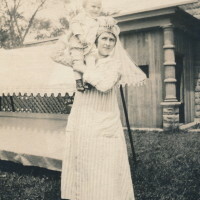 Ella Thompson died in 1924. 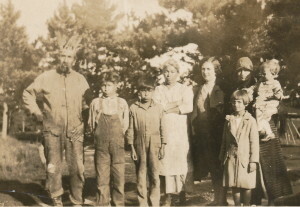 Here we see the John Thompson Family – John, daughter Faith Sayles and granddaughter Hope – along with three of Stacy’s children – Stacy W., Gail and Ida May – standing with a tribal elder of the Chippewa Tribe. 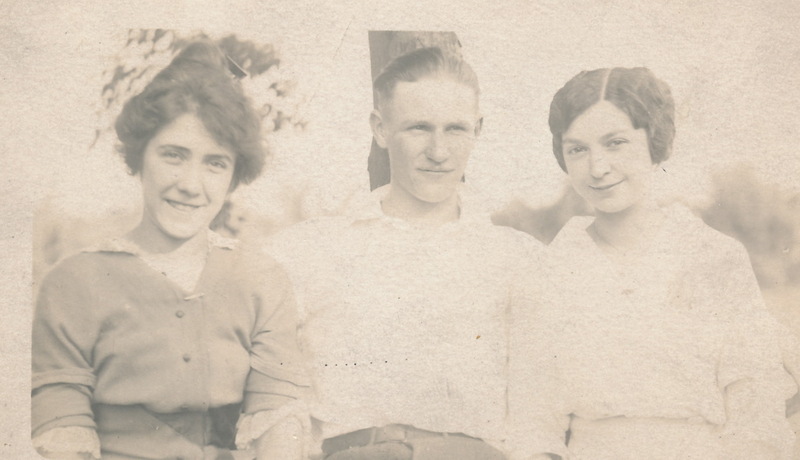 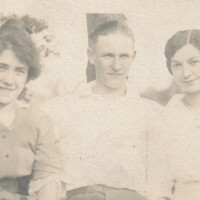 This photo has no inscription on the back, however to the left is the Indian Family and to the right is Ruth Porter Anderson, Marian Thompson with two of her children. 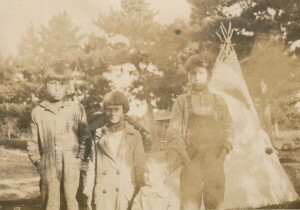 This photo also has no inscription, but clearly shows two children from the Indian Tribe and two children from the Thompson Tribe. 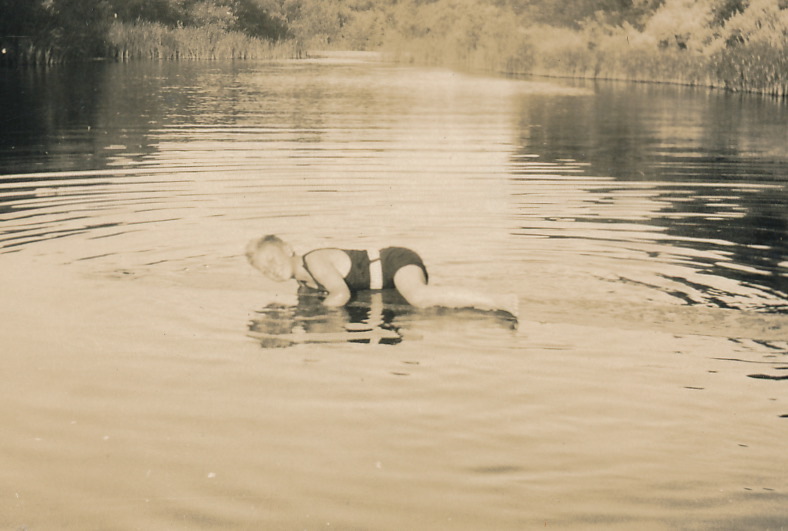 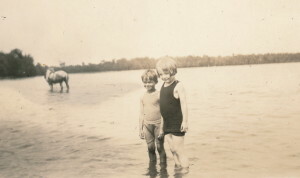 On the back of his photo is the inscription: “Hope Thompson Sayles and Gail Blanche Thompson at Green Lake.” I presume Green lake is in the vicinity of the Old Indian Camp. 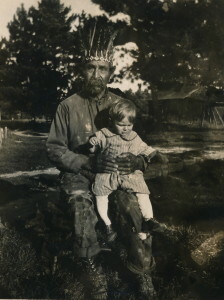 The Thompson’s must have visited the Old Indian Camp many times, As a boy I remember traveling to see the Tribe. 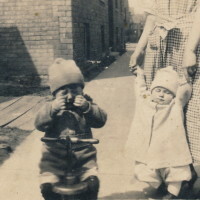 I have no photographs, but some memories. 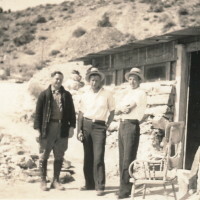 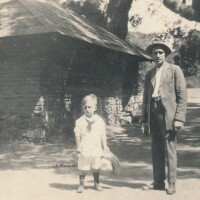 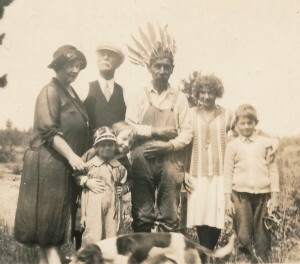 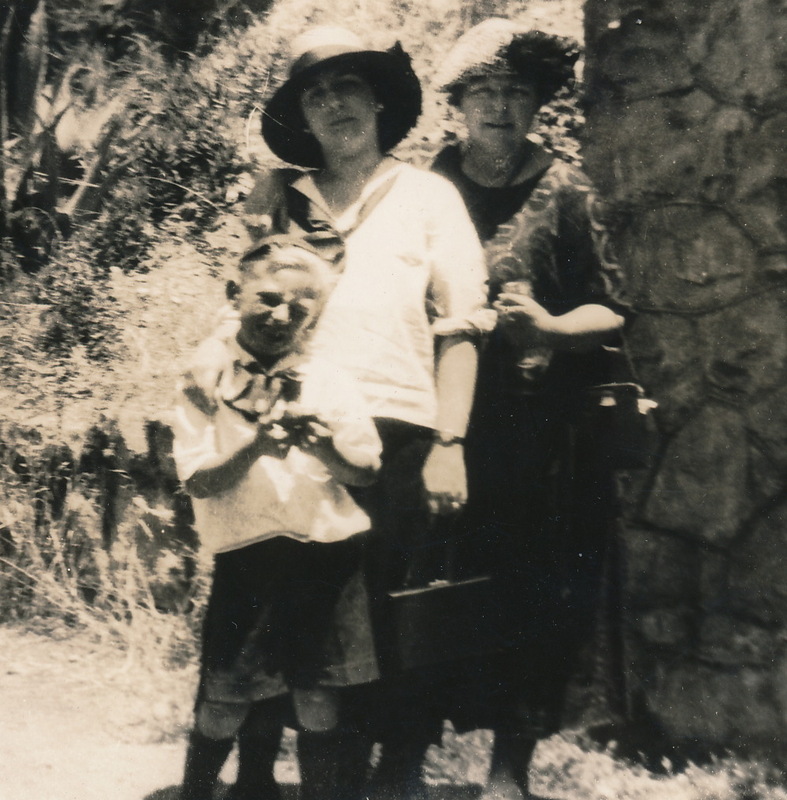 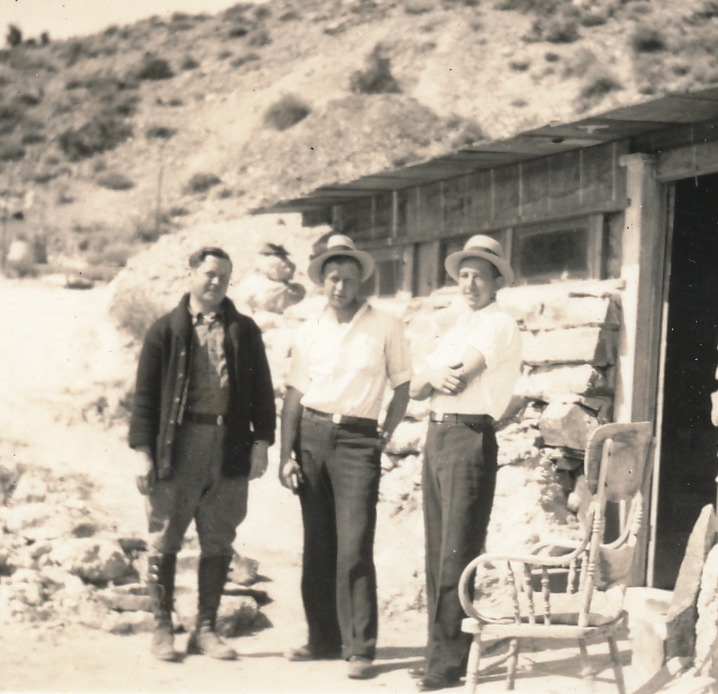 In 1928 some of the Thompson’s returned to the Old Indian Camp. 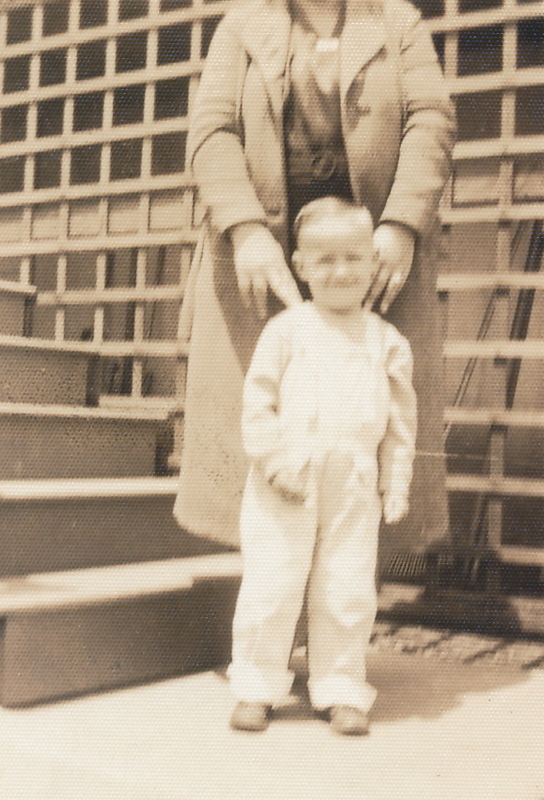 Another visit, another generation. 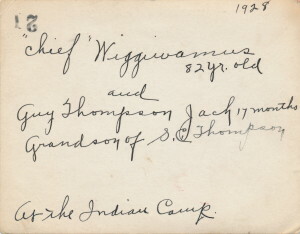 This time Guy Thompson Jach, grandson of Stacy C. Thompson visits “Chief Wiggiwamus”, then 82 years old. 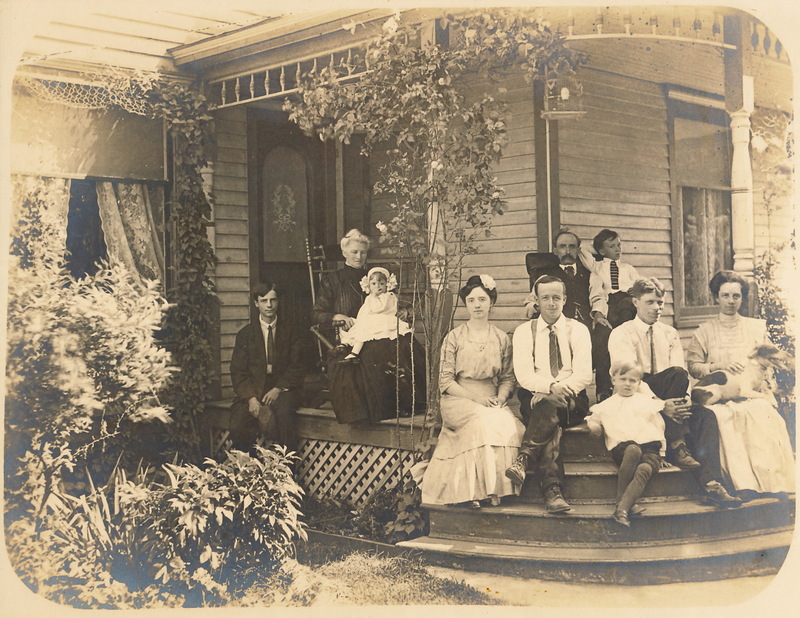 Growing up in Michigan, I knew that there were cousins in other parts of the country, but I really didn’t know where. 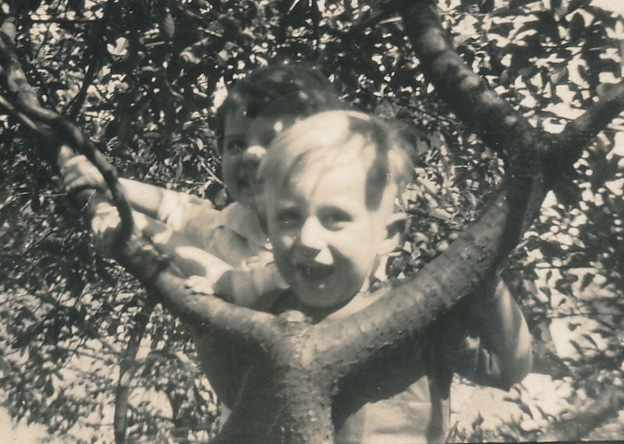 I was especially interested in California Cousins because even at a young age I knew that living in California was to be a part of my destiny. 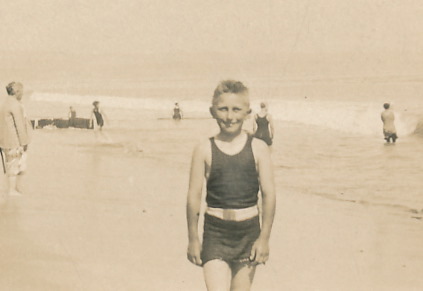 All I had to do was grow up to a point where I could leave Michigan and find my spot in California. 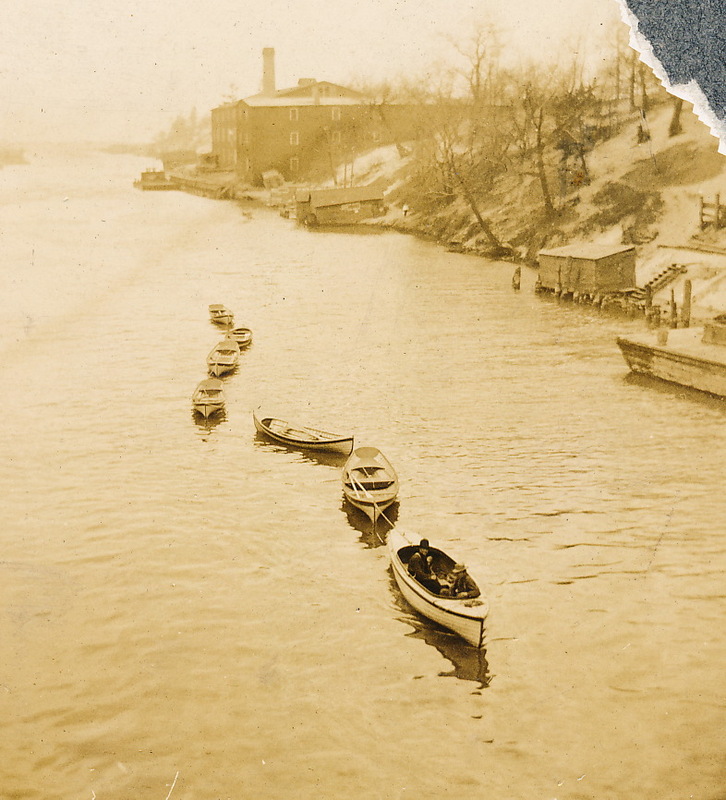 It must have been the same way for the Porters and Anderson’s who grew up in Manistee, Michigan. 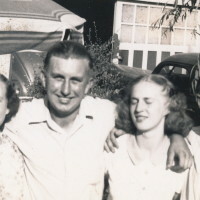 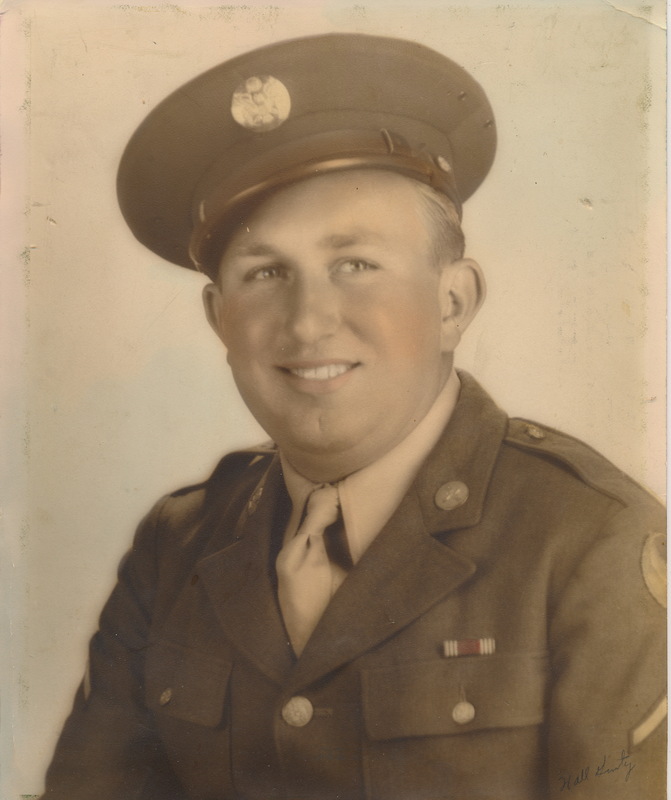 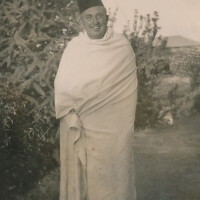 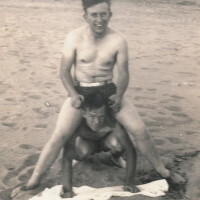 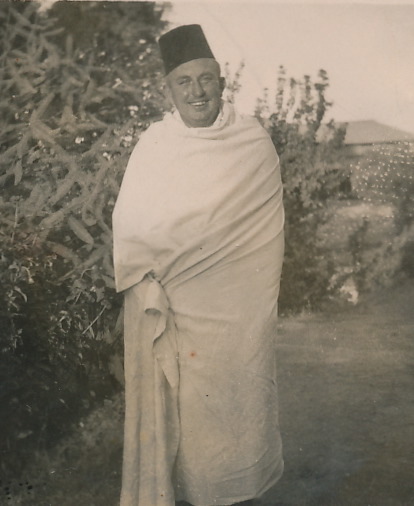 They left Manistee in the late teens of the early Twentieth Century, moving as a family to Detroit, Michigan where on May 2, 1917, Jack Anderson was born. 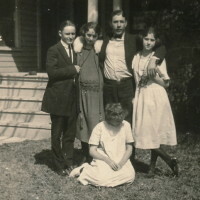 The Porters and Anderson’s lived on Lincoln Avenue in Detroit, Michigan for a short time as an extended family. 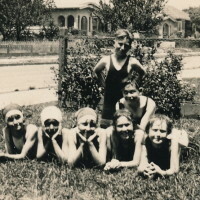 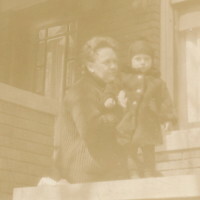 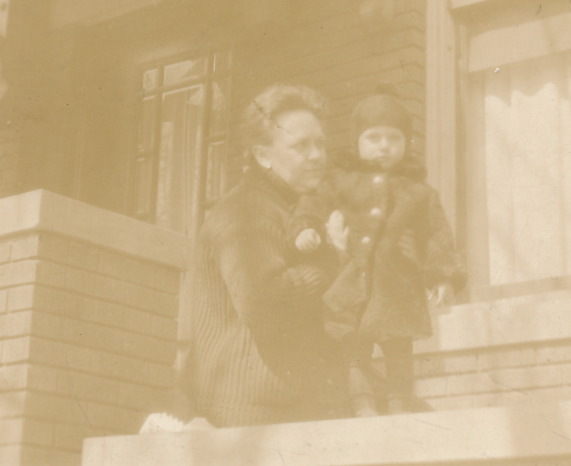 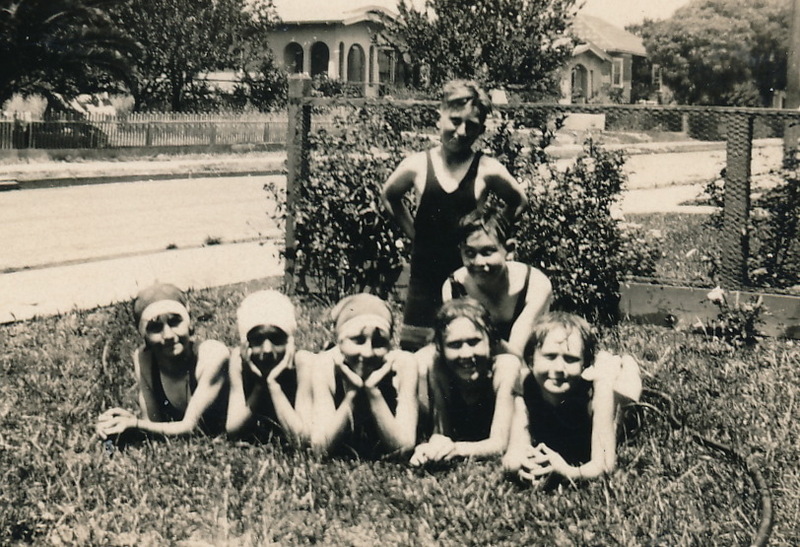 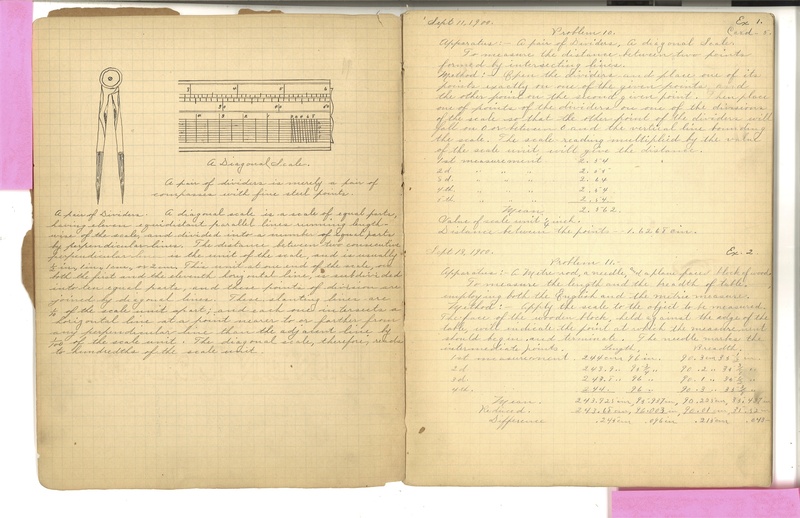 The Federal Census of 1920 lists 8 people living together at 76 Lincoln Avenue. 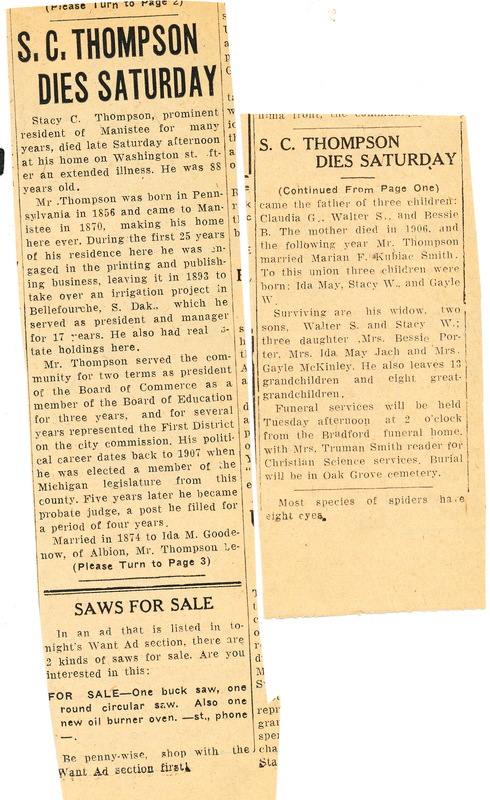 Many of the persons listed are just names to me, but I think at least two are relatives of Jerry Anderson. 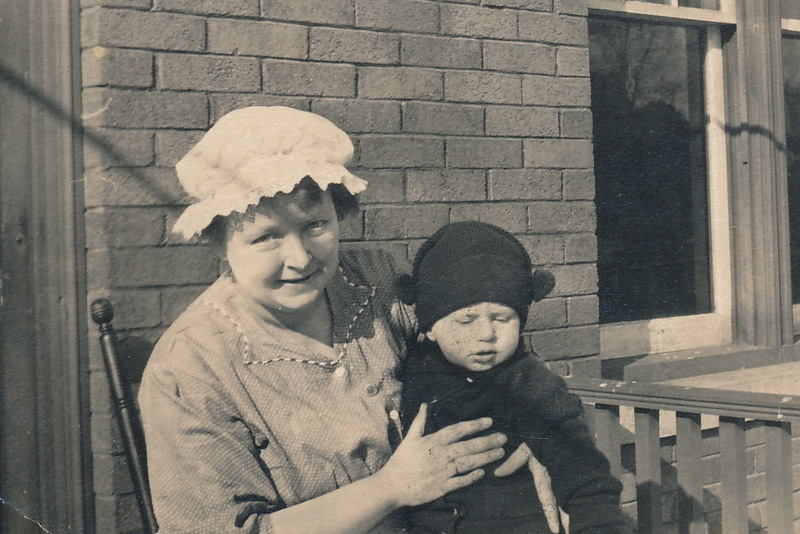 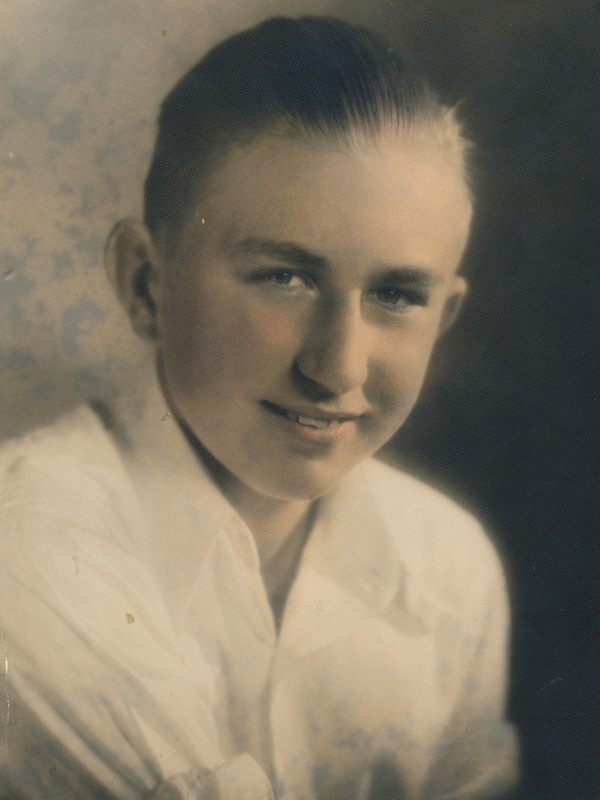 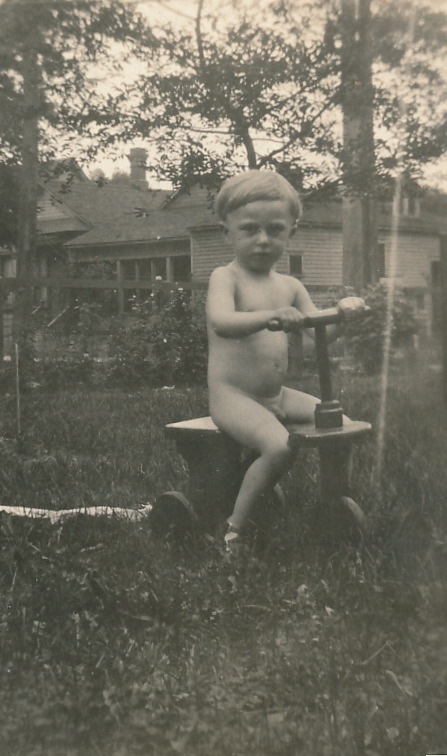 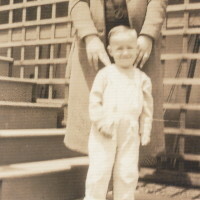 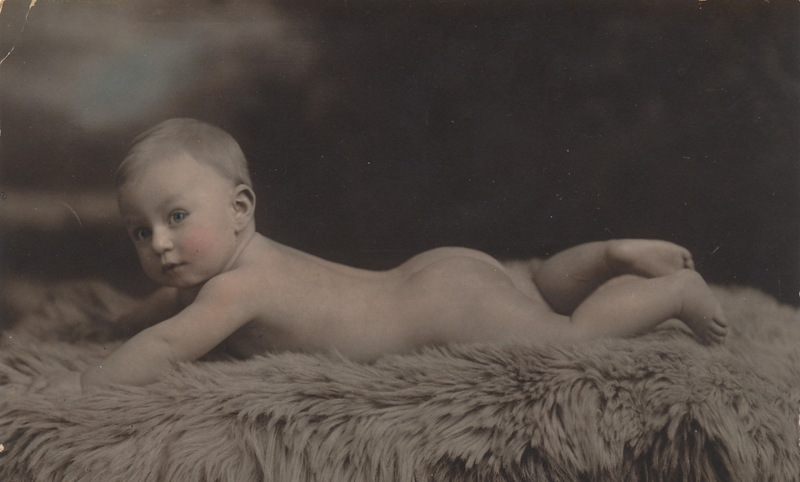 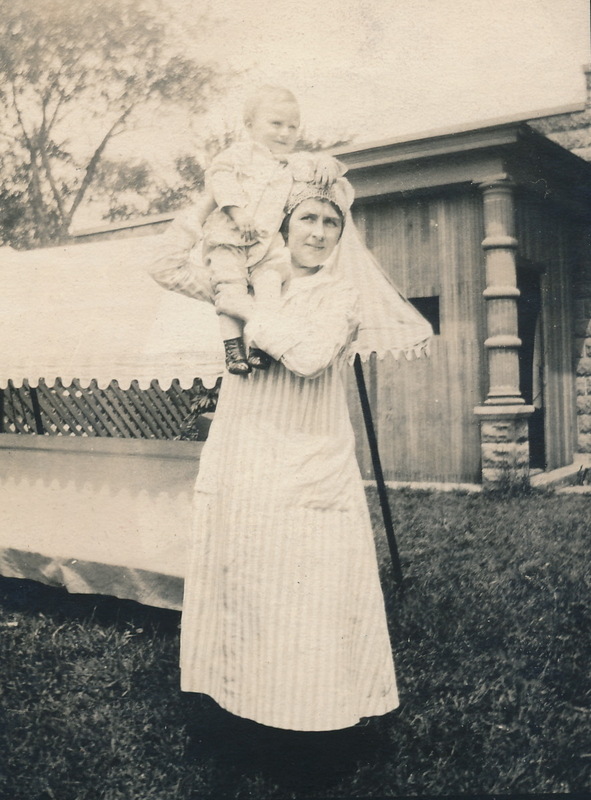 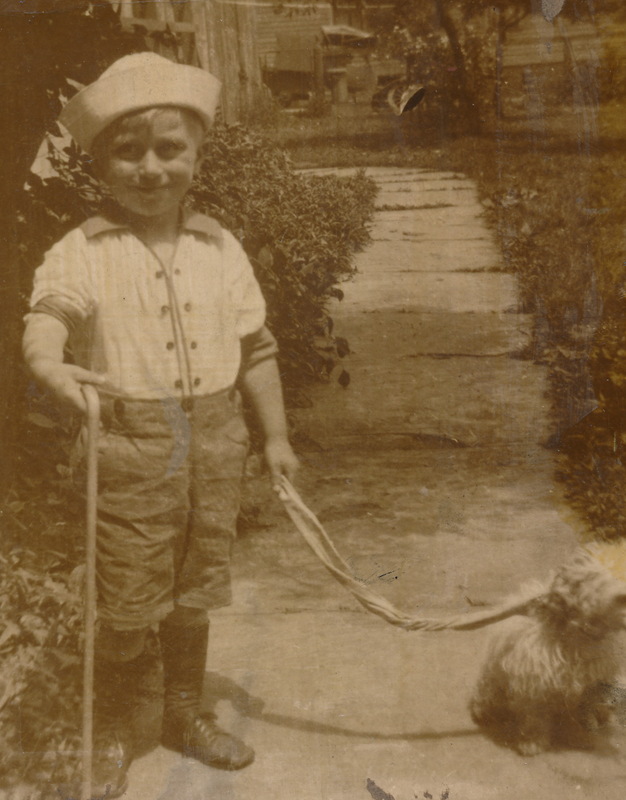 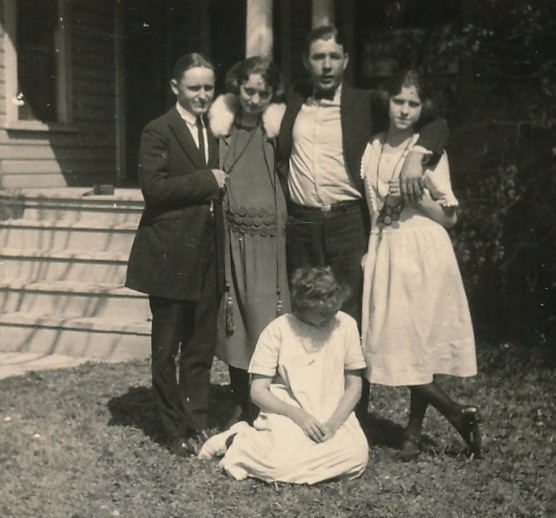 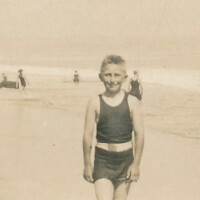 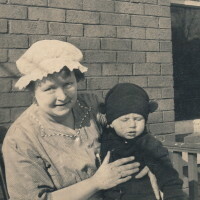 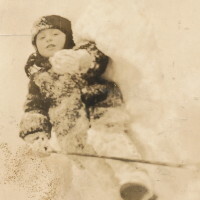 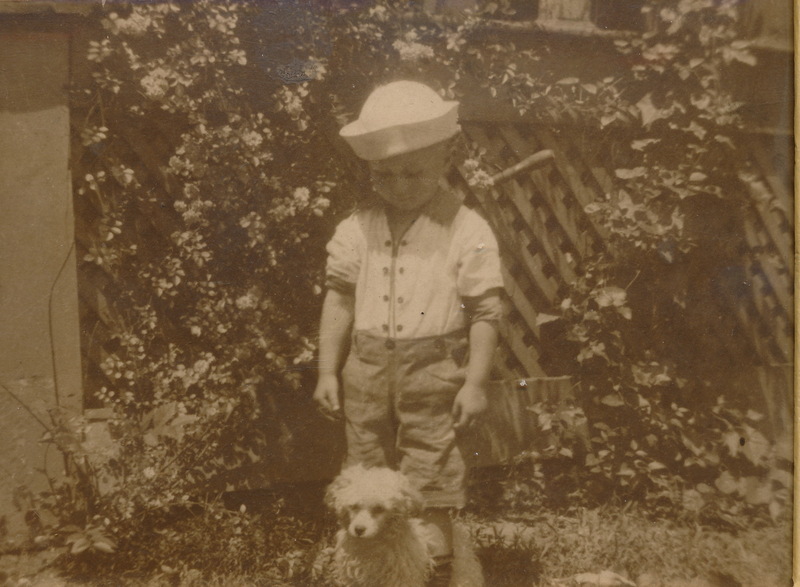 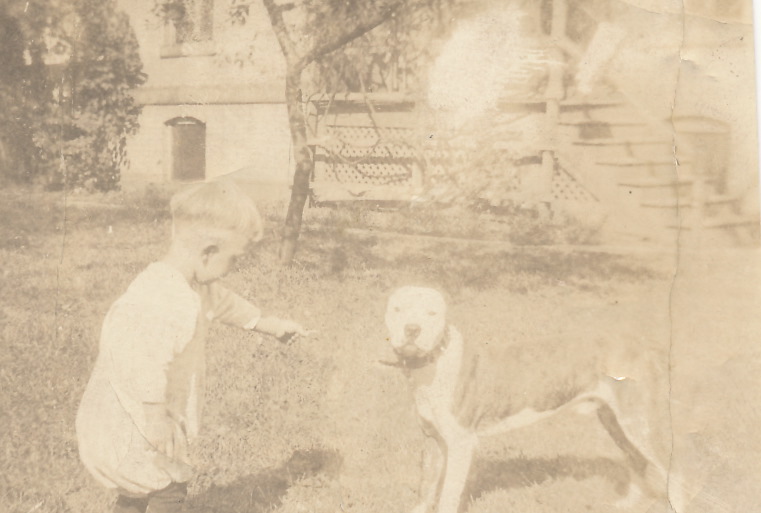 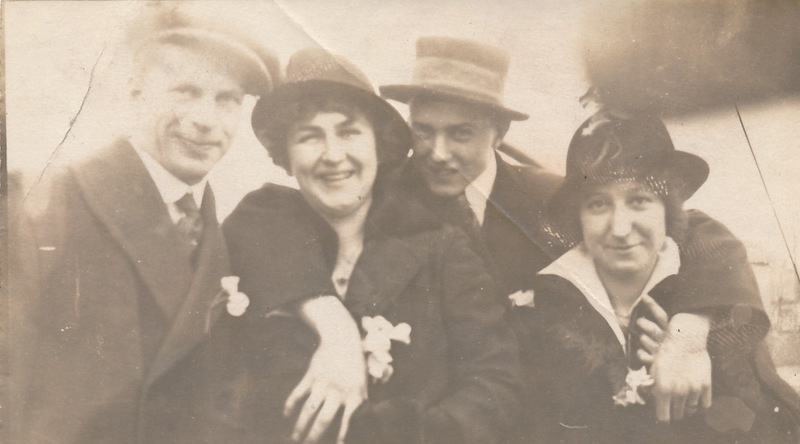 Jack appears to have had a happy, but not always happy childhood as you will see in the gallery of photographs below, all taken in Detroit and Manistee, Michigan before 1921 when the Anderson and Porter family left Michigan for their new lives in California. 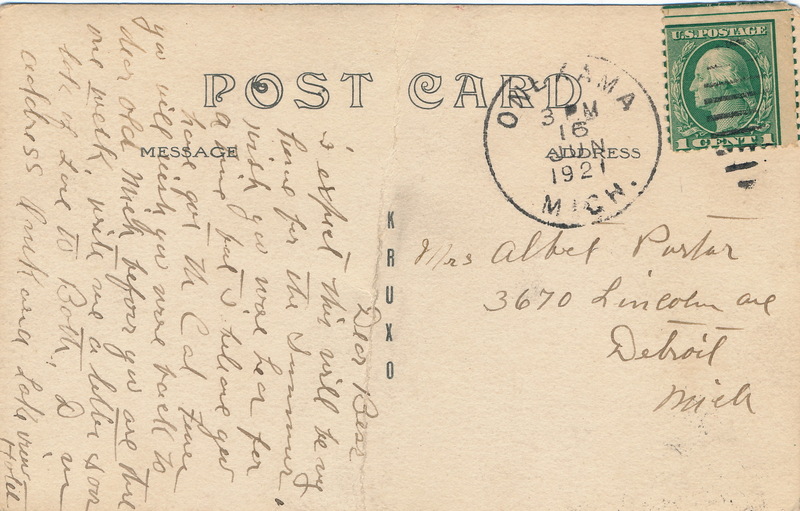 In 1921 Bess Porter received a postcard from a friend in Onekama, Michigan, with a prophetic message. 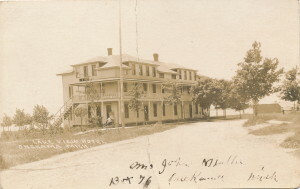 The postcard was from a Mrs. John Muller, showing her on the front porch of the Lakeview Hotel on the banks of Lake Michigan, in Onekama, Michigan. 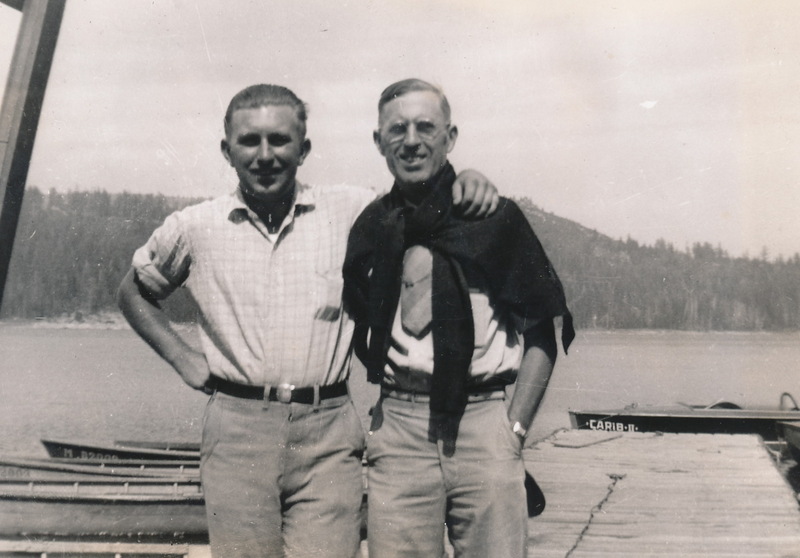 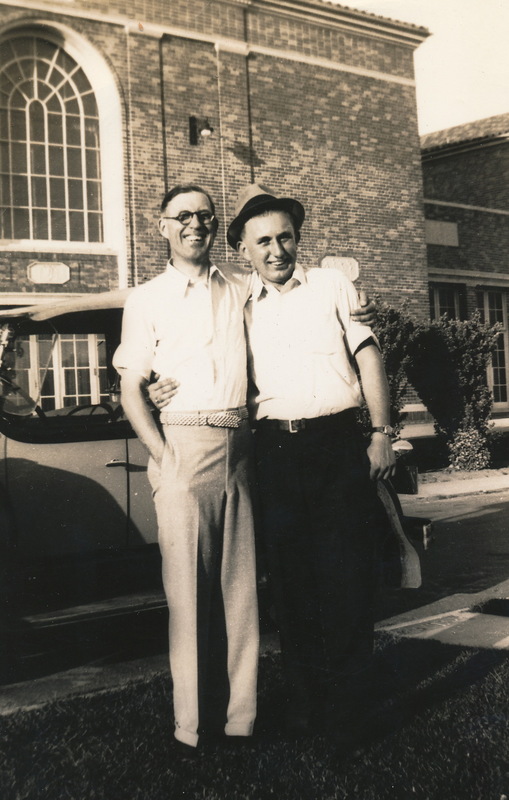 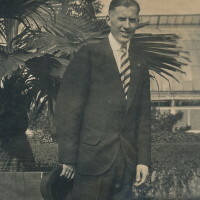 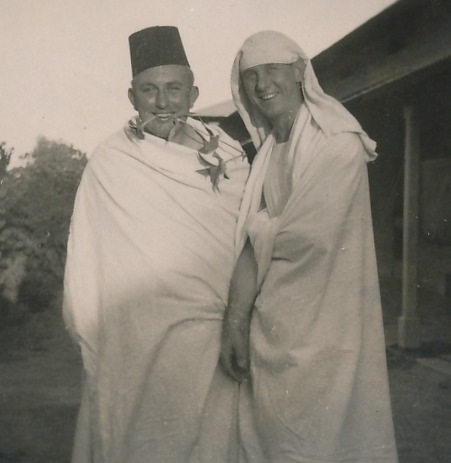 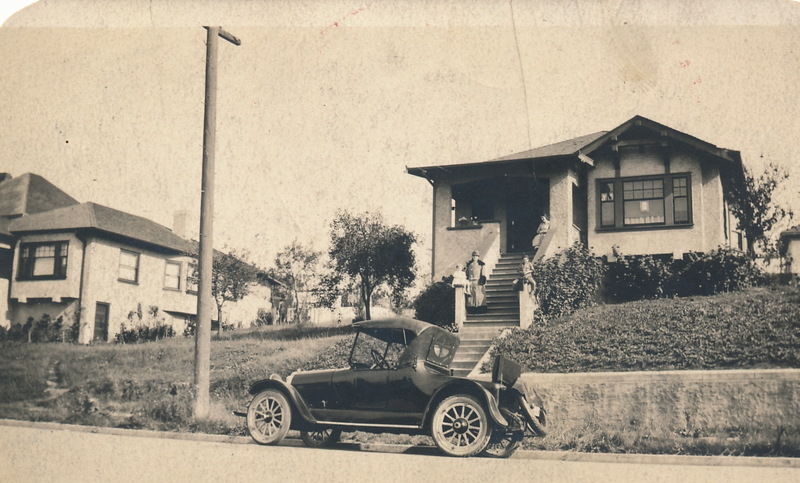 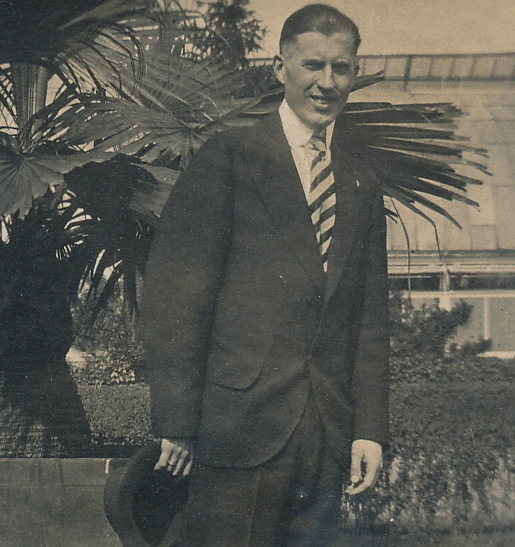 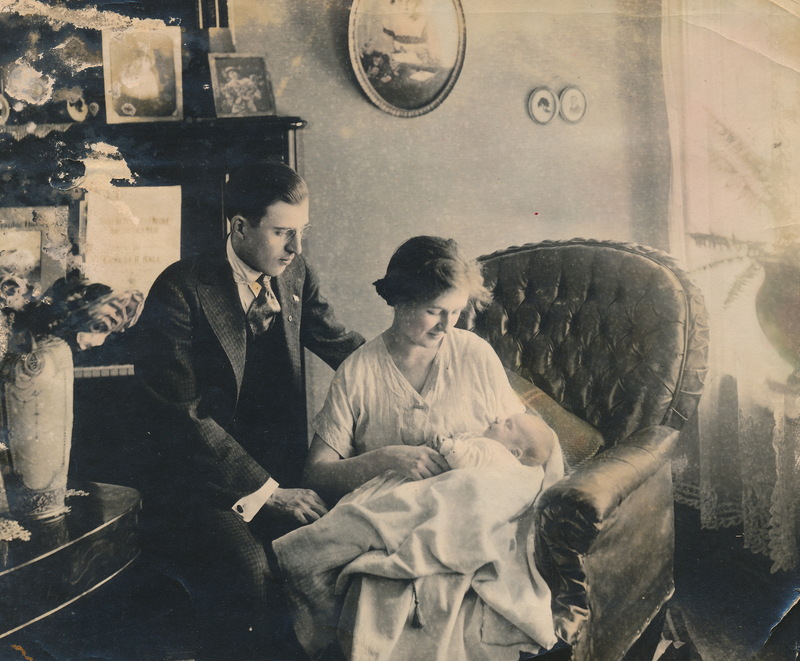 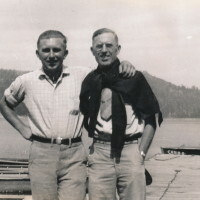 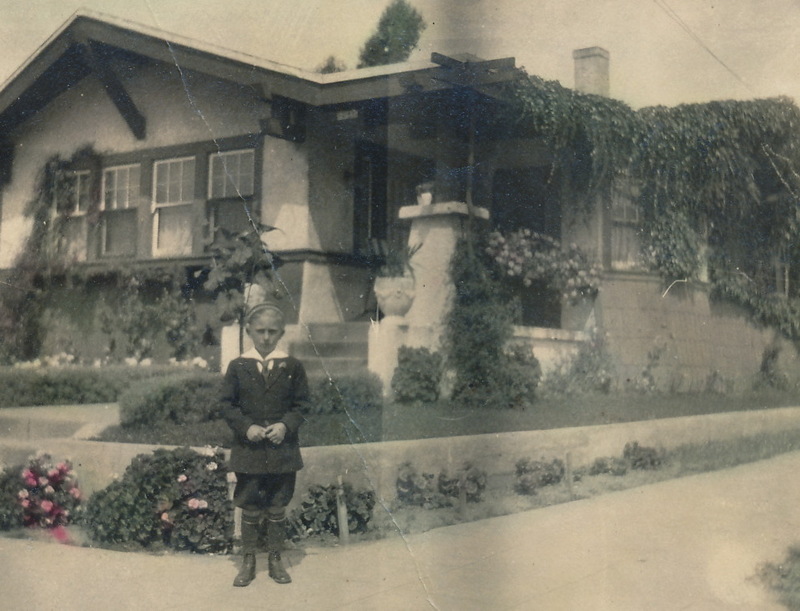 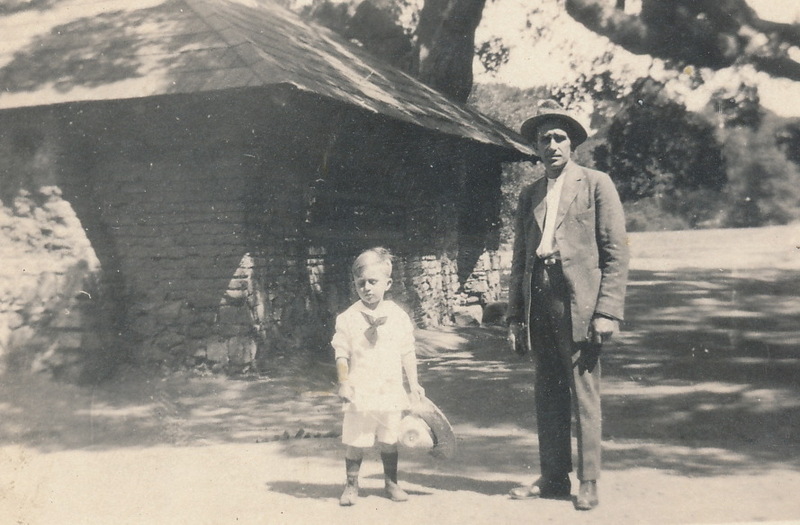 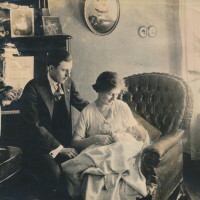 In 1921, the Porters and Anderson’s arrived in California, the place they would call home for the rest of their lives. 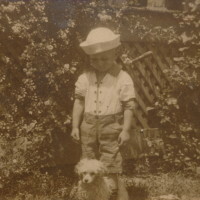 Jack was four when he arrived in California, and started to enjoy the outdoors and sunshine that his new home had to offer. 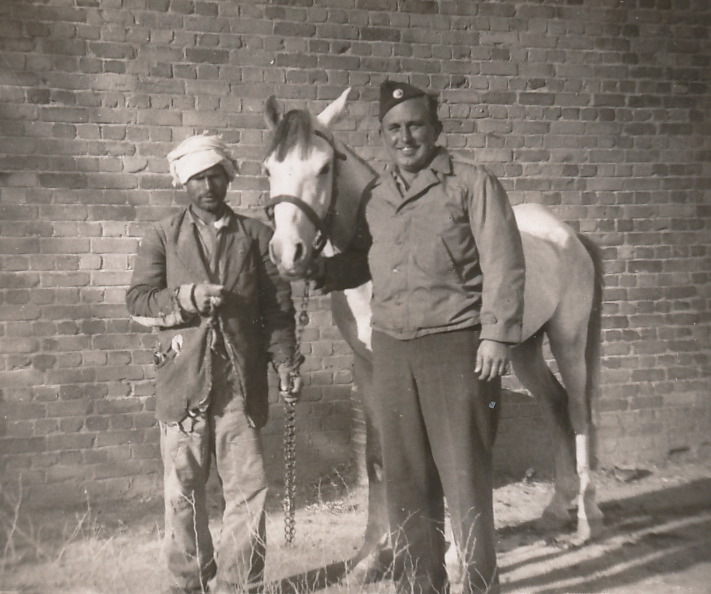 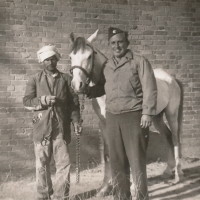 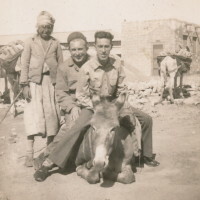 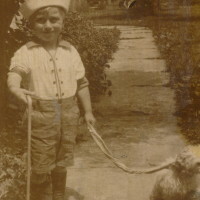 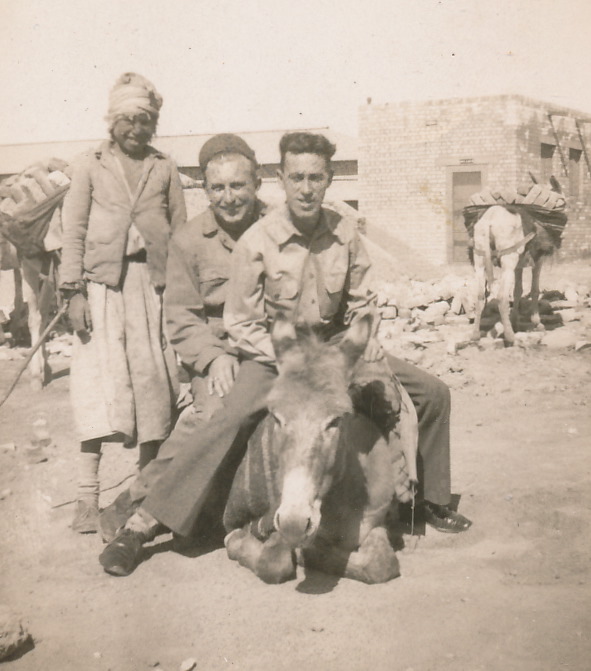 His picture with a horned goat portends a time later in his life when he was stationed in the Mid-east during World War 11. 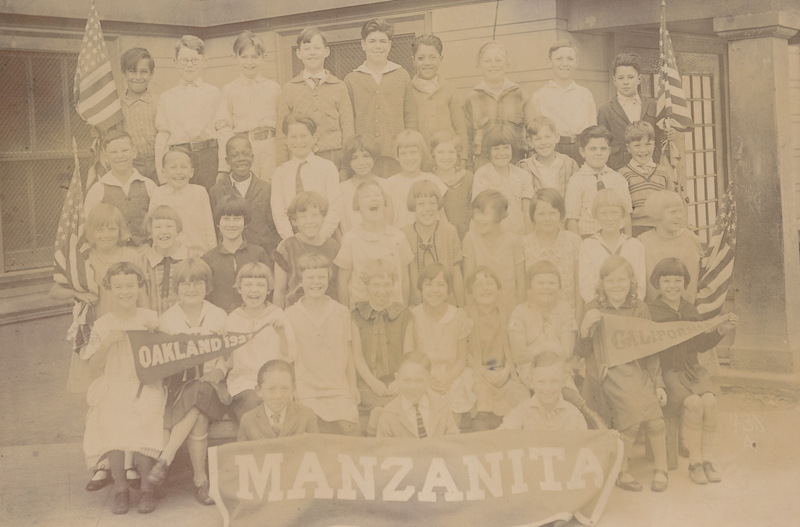 He went to Manzanita School in Oakland, California. 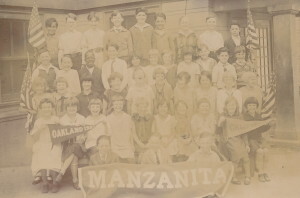 You can see him in the back row third from the right. 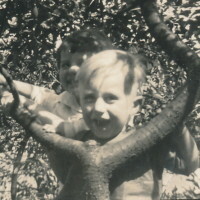 Jack and his family left Oakland, California for Sacramento where Jack grew into adolescence and early adulthood. 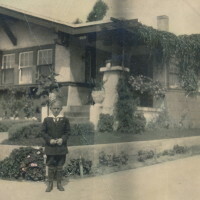 He graduated High School in Sacramento, California. 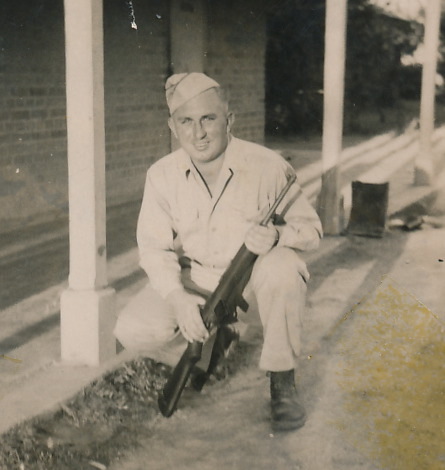 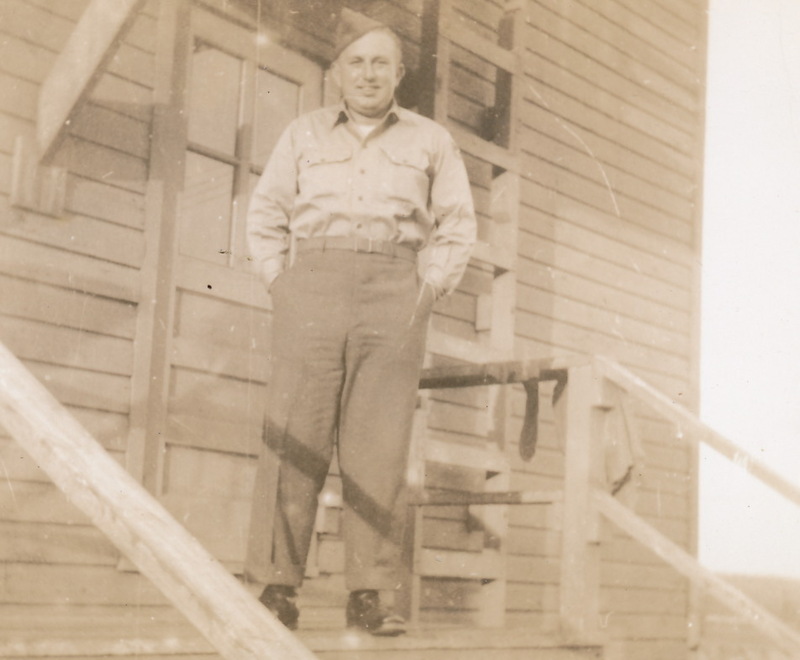 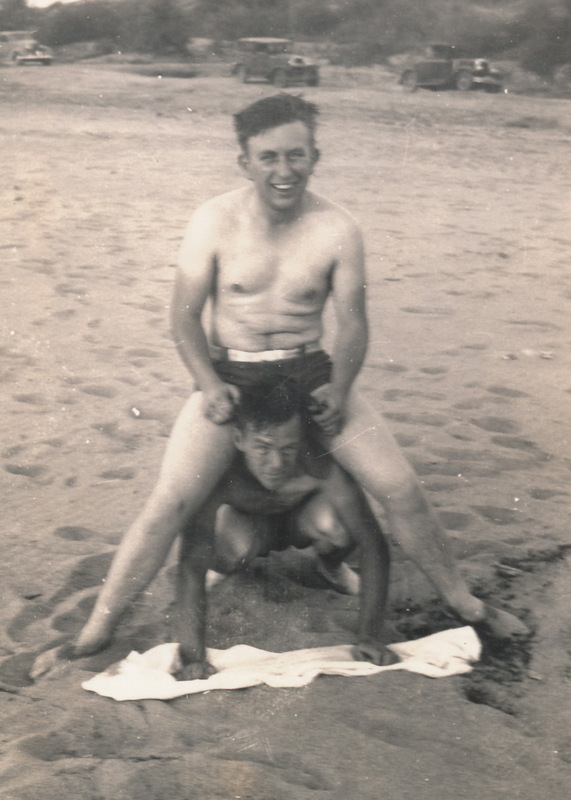 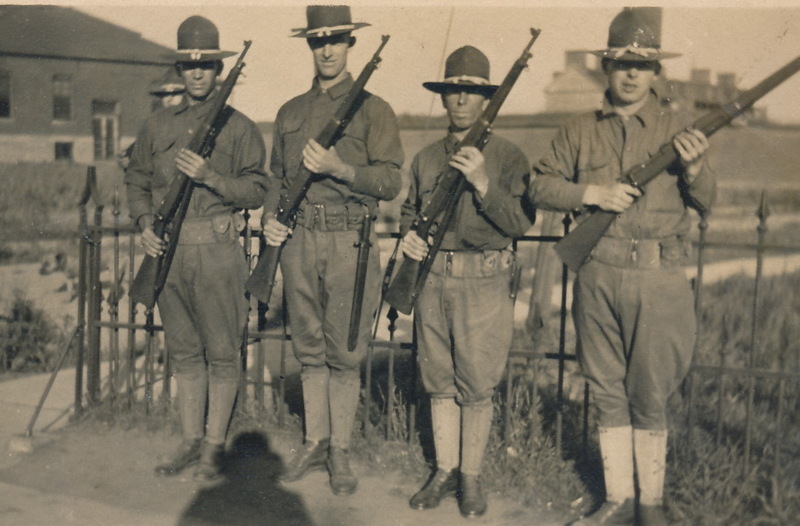 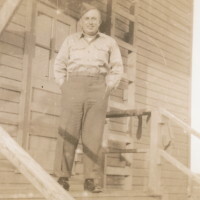 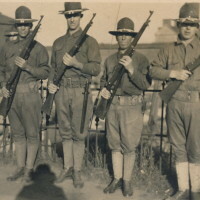 Before long World War 11 was declared and Jack enlisted in the Army AirForce. 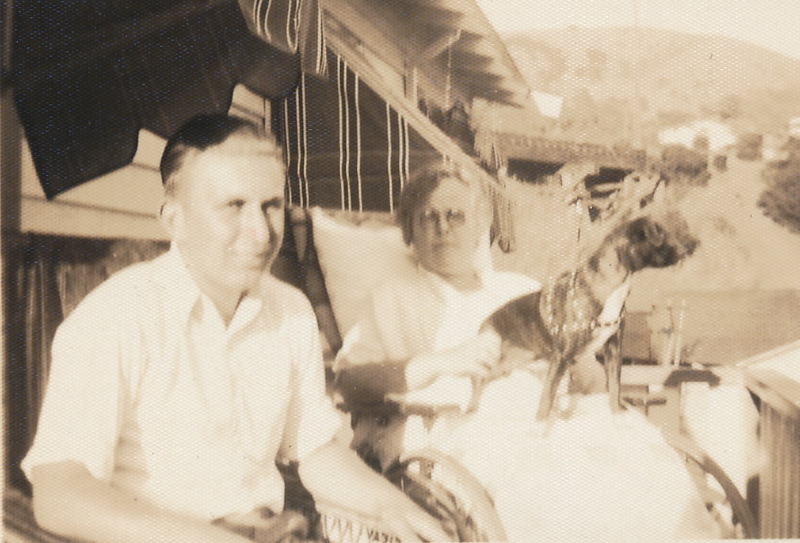 He had already met the love of his life, Lucy. 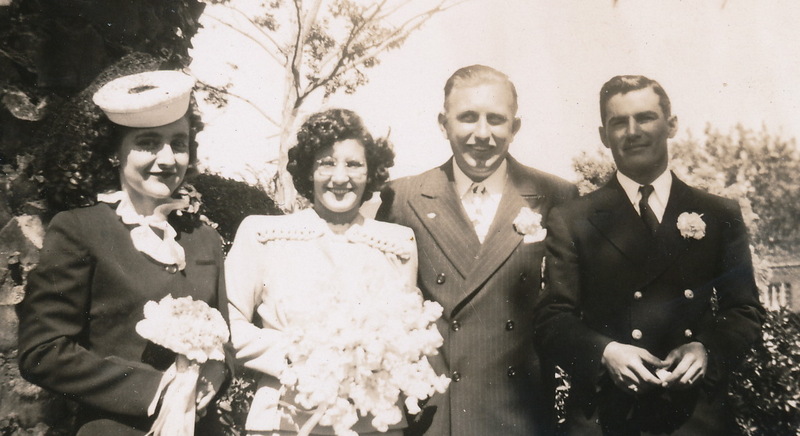 They were ready to get married when the war broke out, but postponed their marriage until after Jack returned. 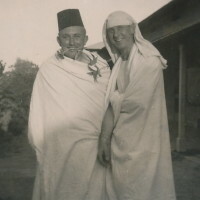 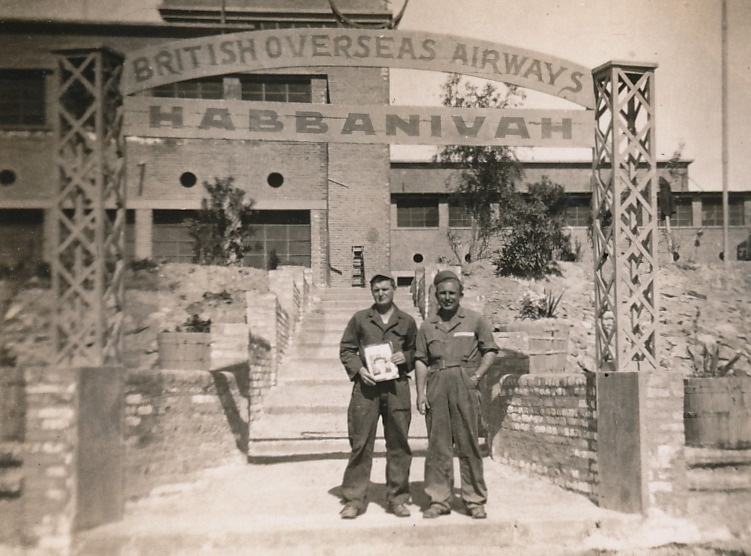 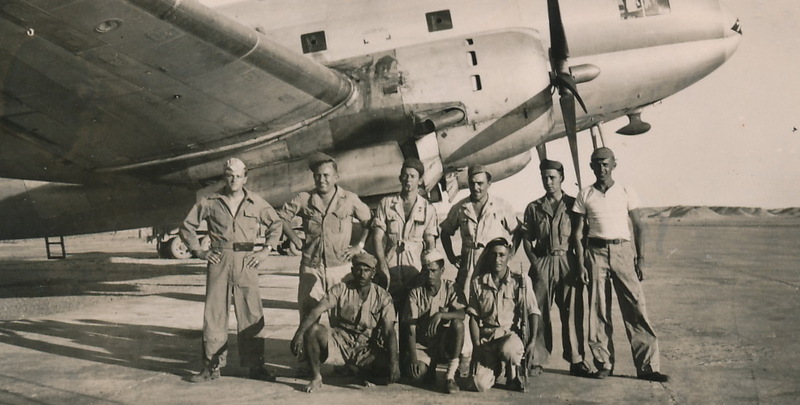 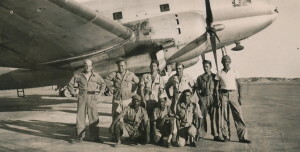 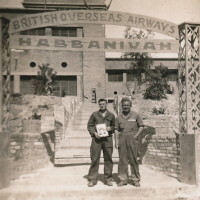 Jack was stationed in Bagdad where he worked on bombers that played a crucial part in the war. 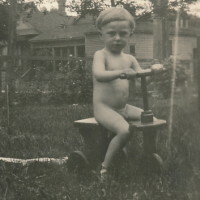 Jack also had some fun while there as can be seen in the next set of photographs. He spent some time in Cairo, Egypt. 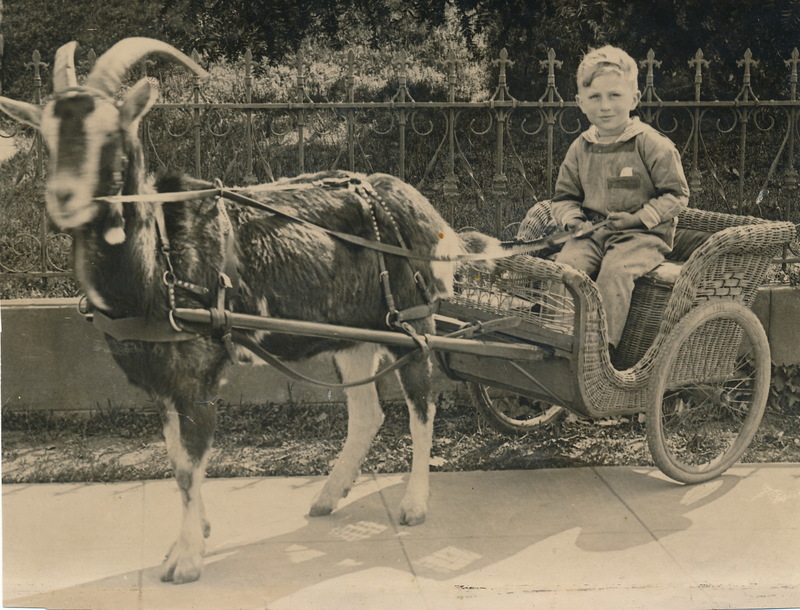 Remember the photo of Jack as a boy riding a cart drawn by a goat? 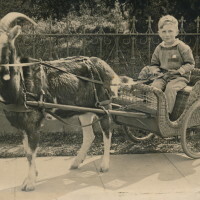 Well later in life he would have the opportunity of repeating the act, however this time it would be in the Mid-east and horses would be drawing the cart. 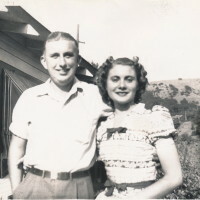 Jack met Lucy at a USO dance. 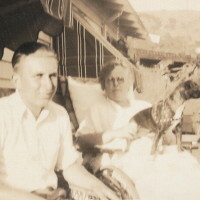 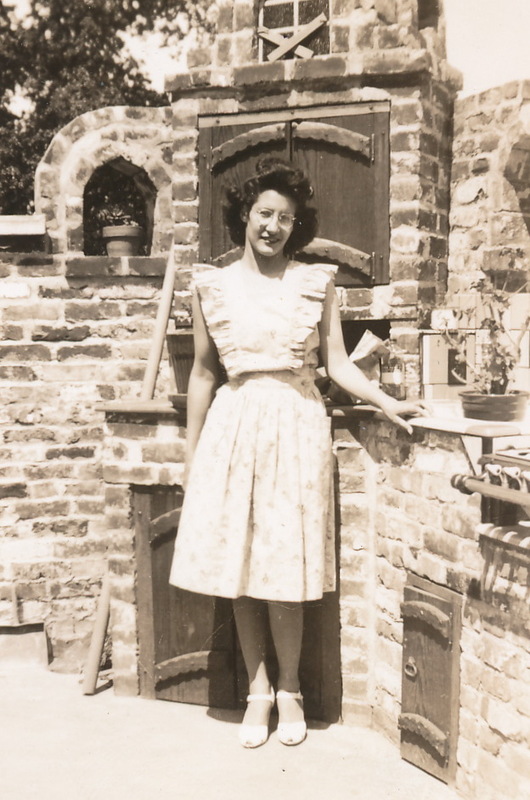 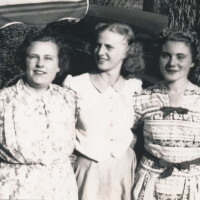 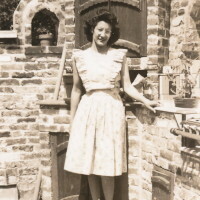 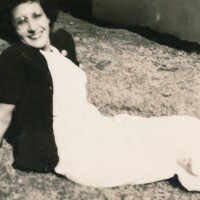 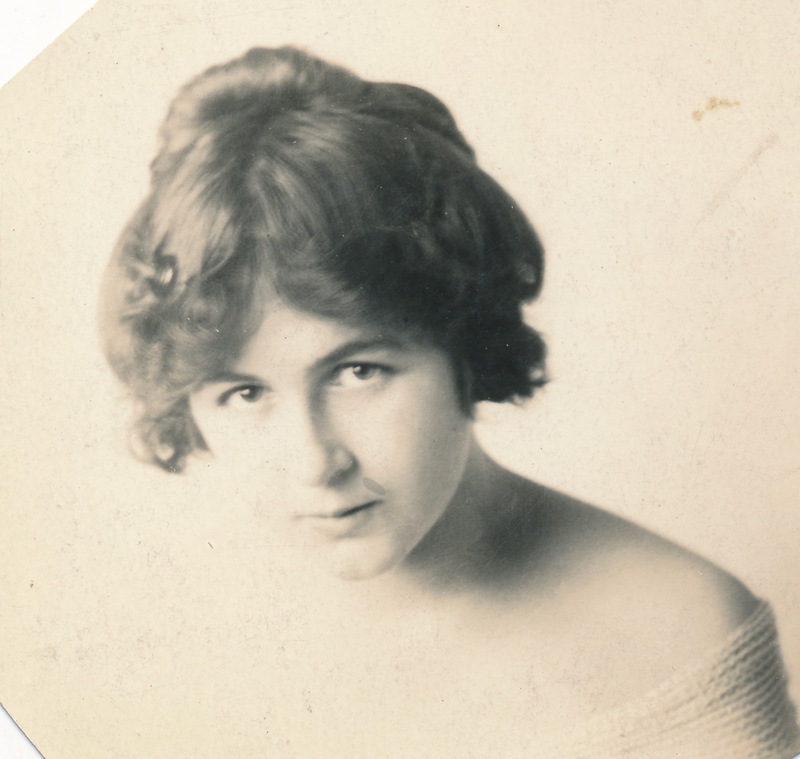 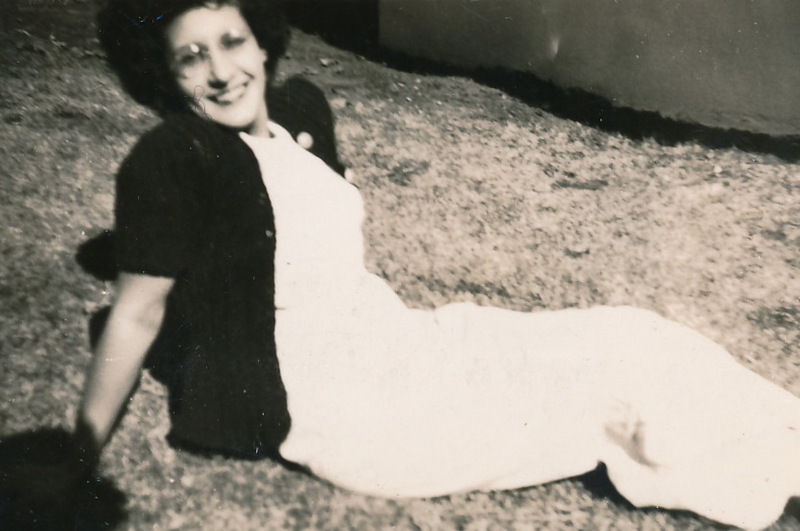 She remained in Sacramento during the war and for a time took care of Jerry Anderson who had contracted tuberculosis and decided to stay at home rather that retreat to Weimar clinic in the Sierra Nevada mountains. 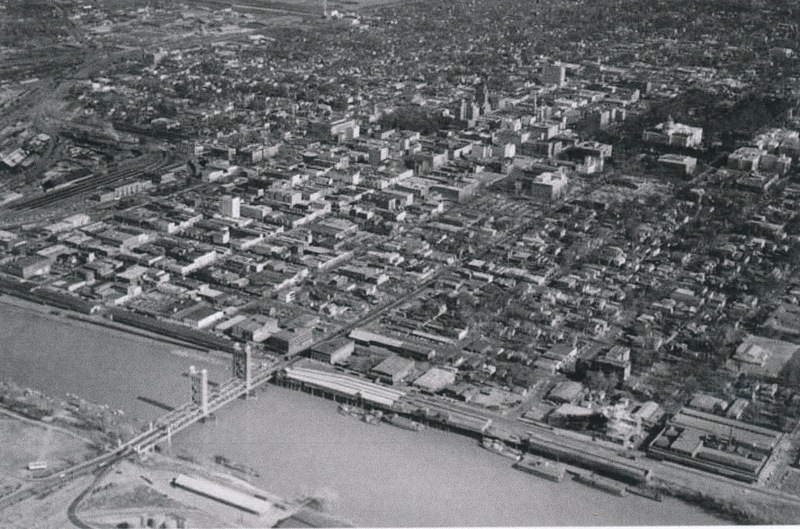 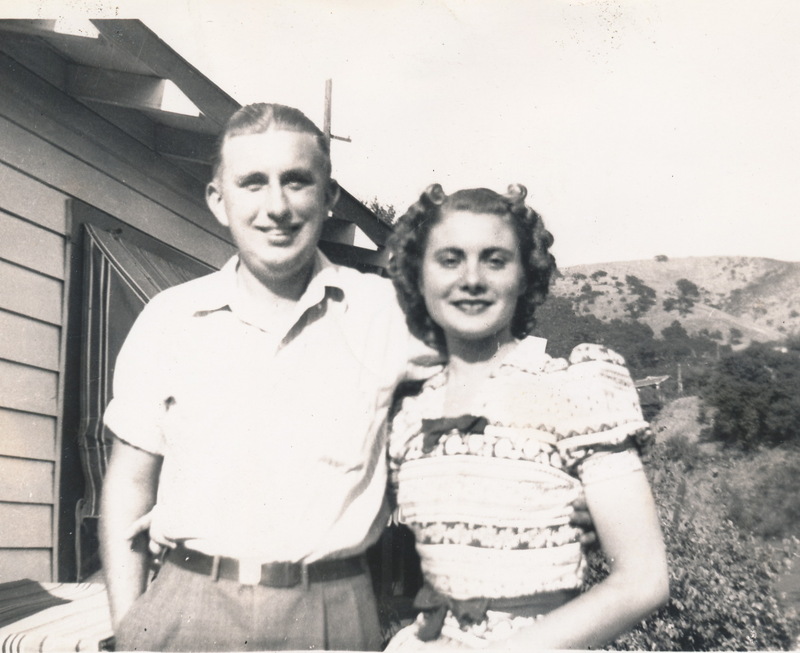 When the war was over, Jack returned to Sacramento where he and Lucy were married. 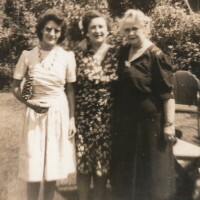 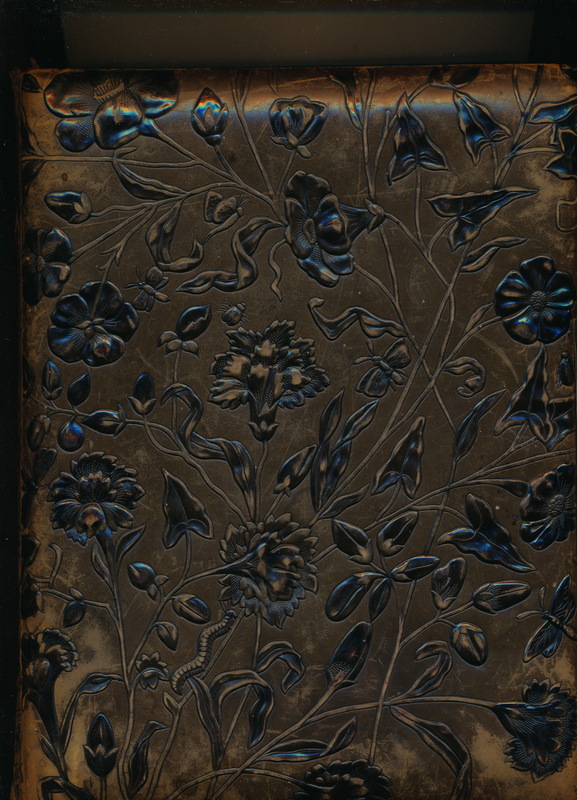 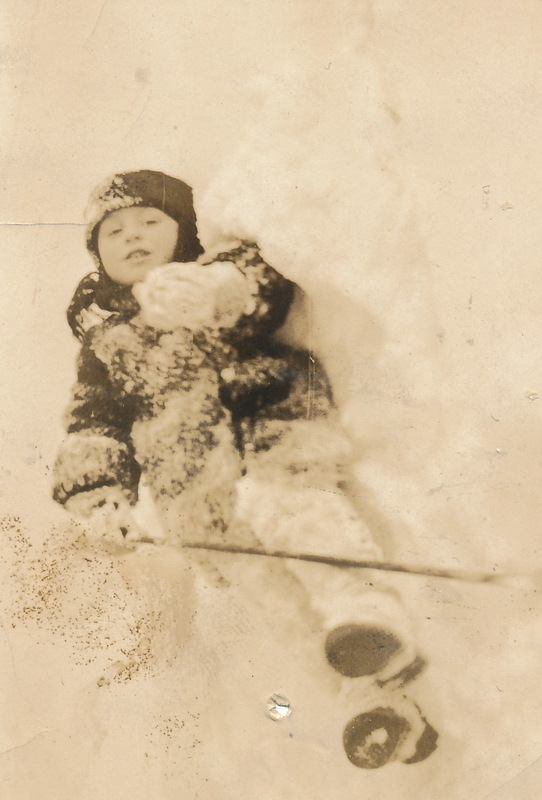 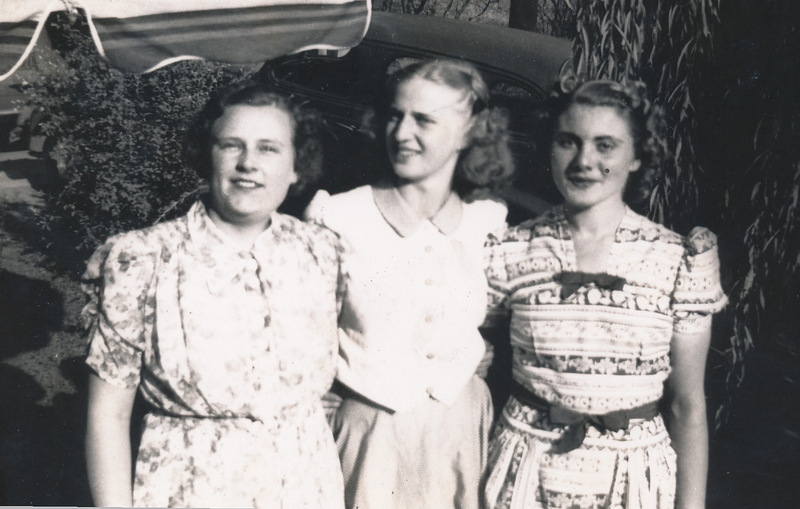 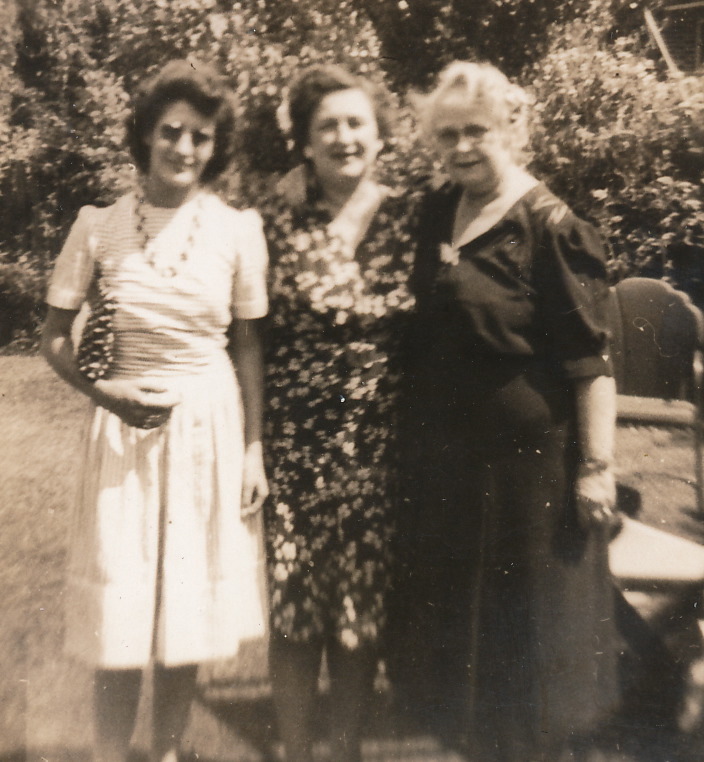 And, as is often said: “The rest is history.” I enjoyed recounting part of the life of my cousin through the photos loaned to me by Lucy Anderson. 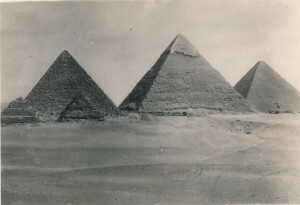 I trust I got much of the history correct, however I rely on you the viewers, especially the Anderson viewers, to correct me where I have erred.